Cocoa developer and entrepreneur Erik Buck provides a glimpse at some of the books he has found invaluable in his career as a developer and instructor. Erik Buck is the author of the upcoming Learning OpenGL ES for iOS: A Hands-on Guide to Modern 3D Graphics Programming and co-author of Cocoa Design Patterns and Cocoa Programming (Sams Publishing, 2002). Erik founded EMB & Associates, Inc. in 1993 and built the company into a leader in the aerospace and entertainment software industries by leveraging the NeXT/Apple software technology that would later become Apple's Cocoa frameworks. He sold his company in 2002 and currently operates Cosmic Thump, a start-up iOS entertainment software company. Erik also teaches an iOS programming course at Wright State University, managed a software product line for a Fortune 100 company, worked in construction, taught science to 8th graders, exhibited oil on canvas portraits, and developed alternative fuel vehicles. I recommend this book to anyone who is ready to look beyond the question, "How do I write code?" and ask "Why should I write one way and not another?" I look for this book on shelves in the engineering offices I visit. When I interview programmers, candidates familiar with this book impress me. This seminal tome inspired me to write Cocoa Design Patters. No professional software developer should continue without Design Patterns: Elements of Reusable Object-Oriented Software. Also available in Safari Books Online. After raving in delight about my first two recommendations, I must preface my praise for OpenGL ES 2.0 Programming Guide with acknowledgment that this book is probably not accessible to even experienced programmers unless they have extensive prior knowledge of 3D graphics. Nevertheless, this book is the authoritative reference by the world's foremost experts on OpenGL. The insights and tradeoffs described make this book comparable to The Design and Evolution of C++ by Bjarne Stroustrup in the sense that seemingly arbitrary features, quirks, and limitations are explained nowhere else. OpenGL® ES 3.0 Programming Guide, Second Edition also available in Safari Books Online. This book documents the rationale and implementation of the Objective-C Programming Language used to create NeXTstep, which later became Apple's Cocoa and Cocoa Touch technologies. The latest Objective-C 2.0 Programming Language has moved far beyond the humble origins described in this book, but read it anyway to understand what makes Cocoa technology so good. The emphasis on reusable software components is more relevant today than ever. 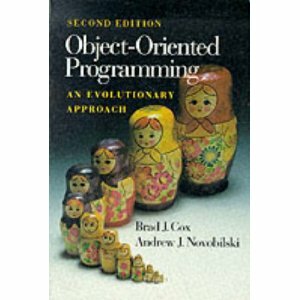 The comparison of approaches to object-orientation contains the core of a university level comparative programming languages course but remains entertaining. Unlike the apology implicit in Stroustrup's The Design and Evolution of C++, this book is forward looking and optimistic that object-oriented programming can be done right without too many compromises. The exponential growth in popularity of Objective-C and Cocoa may have finally proven the authors right. 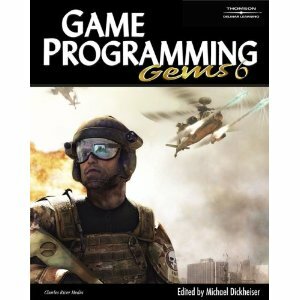 This is a favorite in the "Game Programming Gems" series that is up to 8 volumes at last check. Like the "Graphics Programming Gems" series that preceded, these books collect academic papers and industry proven solutions into an invaluable reference collection. These technical articles are analogous to conference proceedings and scholarly journal articles in other scientific disciplines. These books need to be in every well curated technical library. If you are in the Game industry, any single gem from one of these books has the potential to shave months from a development cycle, avoid tedious reinvention, and in some cases make the difference between project success and failure.